Home / News / Five Feared Dead In Zimbabwe Plane Crash!!! 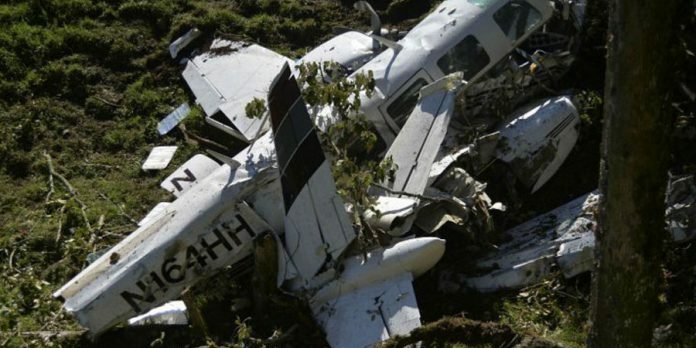 Five Feared Dead In Zimbabwe Plane Crash!!! At least five people are feared to have been killed when a small aircraft crashed Monday in Zimbabwe near the border with Mozambique, Mozambican officials said. Six people, including two crew members, were on board the plane which was flying from Mozambique’s port city of Beira to Mutare on Zimbabwe’s eastern border. “According to initial reports there could be a survivor and we cannot confirm if the others are dead,” Joao de Abreu, the director of Mozambique’s civil aviation authority (IACM), told a news conference in Maputo. Zimbabwe’s state-owned daily The Herald reported that all six on board had died. “The weather conditions were unfavourable, which is the probable cause of the accident,” said De Abreu. The plane was carrying four executives from Cornelder, a private Mozambican-Dutch company that manages the port of Beira, the IACM said. It is thought that executive director Adelino Mesquita, the brother of the Mozambique’s transport minister Carlos Mesquita, was a passenger on the plane. The nine-seater twin-engine Britten Norman Islander aircraft was being operated by ETA Air Charter, a private airline company blacklisted by the European Union, Abreu added.